Qualcomm could face another regulatory headache in China, this time over a trademark dispute with a Chinese company that is asking the local government to intervene and fine the U.S. company US$100 billion for alleged infringement. Last month, the chip company agreed to pay Chinese authorities a US$975 million fine for alleged monopolistic business practices relating to its patent licensing business. Both Shanghai-based Genitop and Qualcomm have been battling over the trademark “Gaotong”, which the two companies use as their Chinese brand names. Genitop claims that it owned the trademark first in China and its products are continually mistaken for Qualcomm’s. “People believe we are the fake Qualcomm, or that we maliciously try to depend on the Qualcomm name,” Genitop said in a statement. In Chinese, Gaotong means “high communication”. Genitop develops telecommunications gear and chips, and first registered for the Gaotong trademark back in 1992, the year it was founded, it said Tuesday. 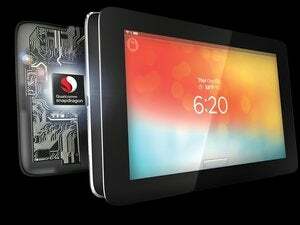 Qualcomm has allegedly “bullied” Genitop by refusing to respect the trademark laws, and has instead tried to buy from the Chinese company the trademark rights to Gaotong for 2 million yuan (US$326,000). Genitop has already filed a trademark infringement lawsuit against Qualcomm in Shanghai, demanding 100 million yuan in compensation. But it will also ask China’s State Administration for Industry and Commerce to penalize the U.S. chip vendor for 15-years of trademark infringement. Qualcomm did not respond to a request for comment. It’s not the first time a U.S. technology company has faced a trademark dispute in China. Back in 2012, Apple agreed to pay a company US$60 million for ownership of the iPad trademark, following a prolonged legal dispute. This came after the Chinese company wanted a $400 million settlement.